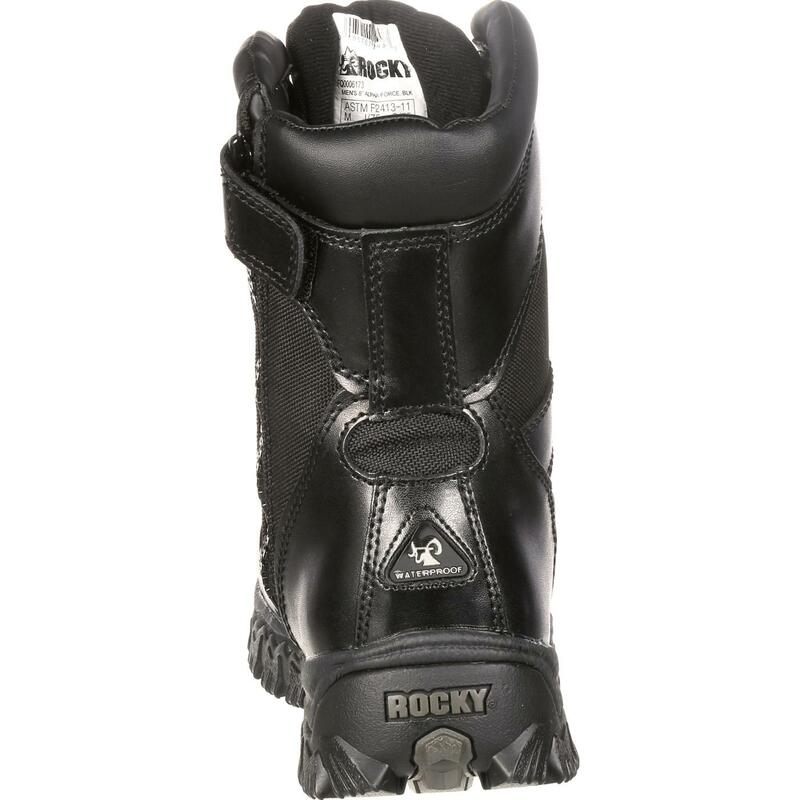 Part of the Rocky® duty line, this boot helps you perform at your best by giving you the features you need in boots. 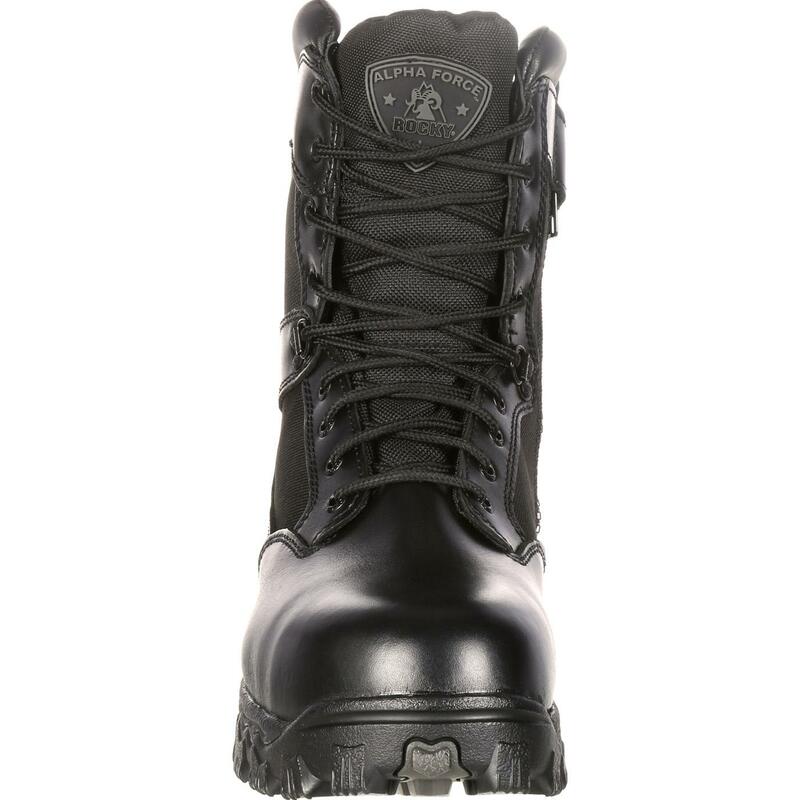 These Rocky Alpha Force boots are made with the Rocky Waterproof system. This system lets air flow in, but keeps water out. Your feet stay dry. Guaranteed. Your feet also stay warm. 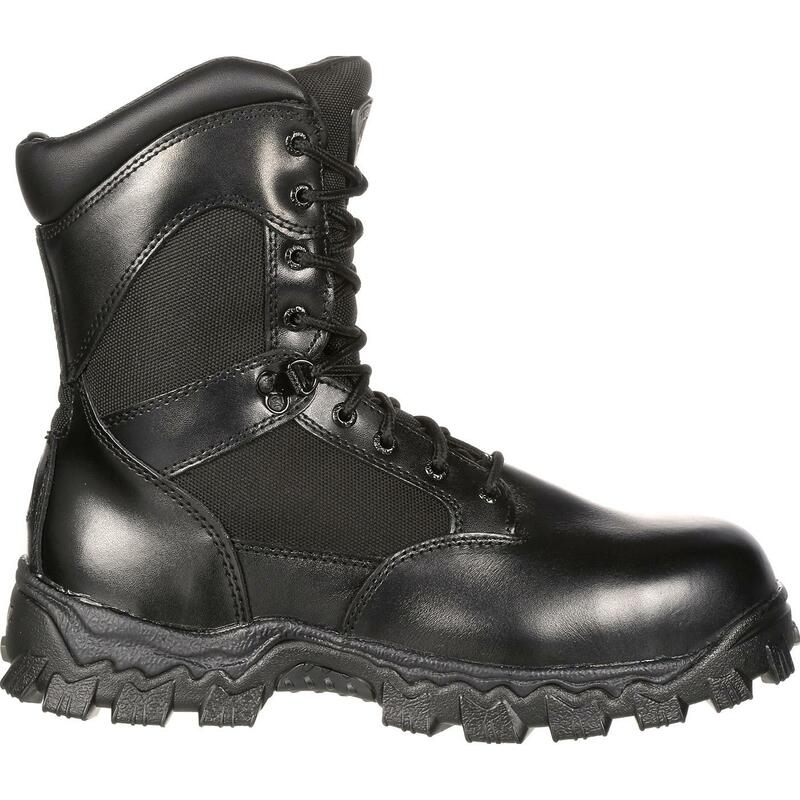 These black leather boots have 400 grams of 3M™ Thinsulate™ Ultra Insulation. 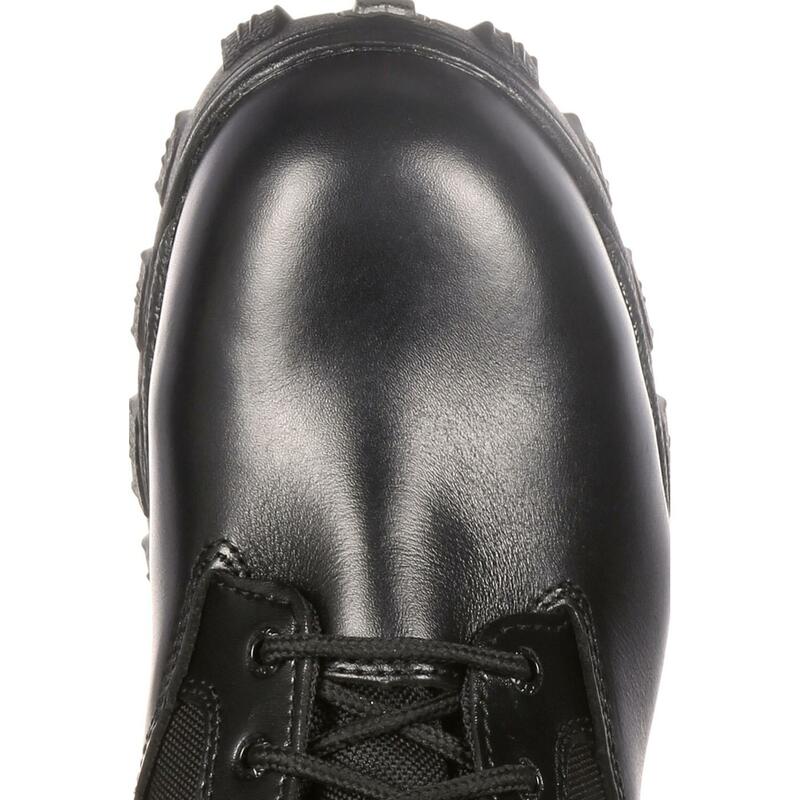 With dry and warm feet, you won't be distracted from the job at hand. 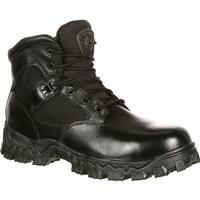 To further assist with your duties, you need boots that can keep up with you. 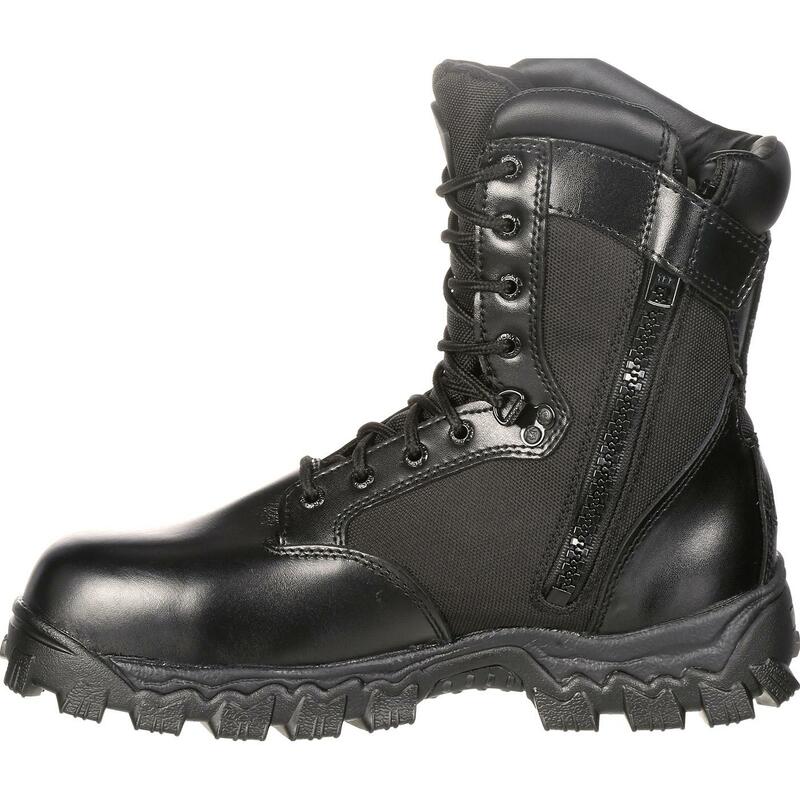 The Alpha Force has a special oil-resistant and slip-resistant RigiTrac™ molded EVA/rubber outsole. These soles really grip the terrain to help you maintain your footing. 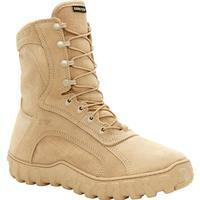 If you're on your feet for much of the day, you also want your boots to be comfortable. You want the Rocky Air-Port™ footbed. This footbed is a high-performance, cushioning and comfortable footbed that circulates air with every step. It's molded from durable PU that won't break down or lose its shape. 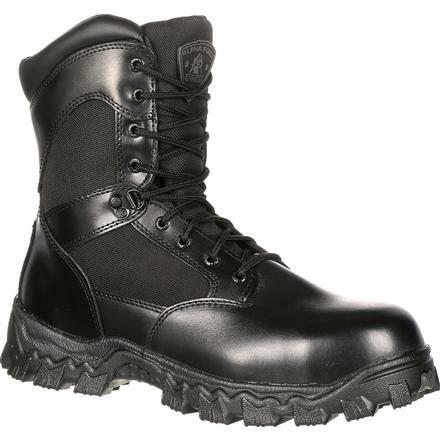 In addition to performance, these eight-inch duty boots also have the styling you want. 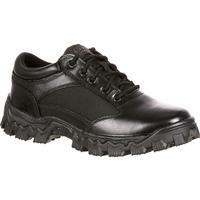 They are made with full-grain leather and 900-denier combination nylon. These materials resist abrasions. Alpha Force is a completely black boot with black laces and a black side zipper. 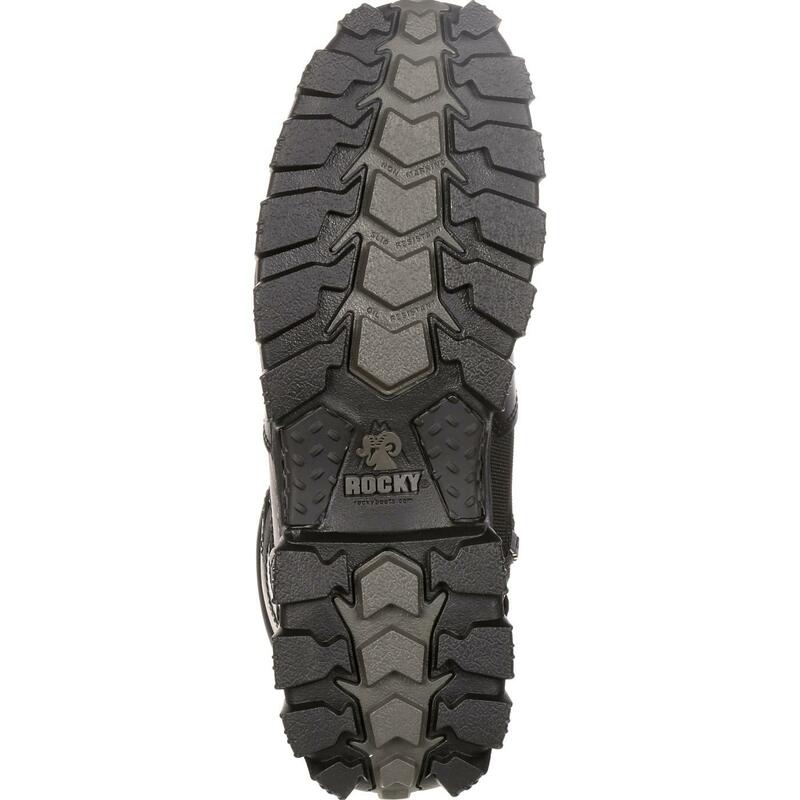 With guaranteed Rocky Waterproof full-grain leather, the Rocky Air-Port footbed and style to suit an officer, the Rocky Alpha Force truly is a force to be reckoned with.